Paula who was born and brought up in the village of Newcastleton in the Scottish Borders has had a passion for drawing and painting from an early age. She would spend hours sketching from reference books in the back room of her grandmother’s Post Office. A nursing career and bringing up a young family left little time for artwork until a couple of years ago when she began finding time to follow her dream of becoming an artist. 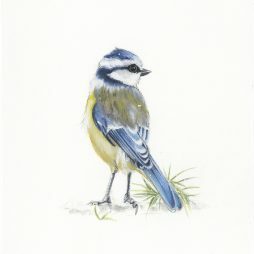 Paula is a self taught artist who finds inspiration in her children, pets and local wildlife. She works with acrylics and coloured pencils. Learning with every piece. All Paula’s work is signed Paula Rowan but outside of her art she is better known by her married name, Paula Downey.